The chef and co-owner of Le Bernardin on the problem with a Western definition of happiness. Finding Happiness is an editorial package that explores what it means to be happy in today’s world. As part of it, we’re asking people known for their work on well-being and happiness to answer 7 questions about what happiness means to them. Here’s Eric Ripert, chef and co-owner of Le Bernardin. Thrive Global: What does happiness mean to you? Eric Ripert: To me, happiness is being at peace with myself and having a positive impact on anyone who has interacted with me each day. TG: Are you living life according to the way that you’ve defined happiness? ER: Happiness is something to strive for daily, but yes, I believe I do! TG: If you had to pick one thing to tell the world about happiness, what would it be? ER: Life is impermanent and therefore isn’t static and invariable by nature. Finding your own inner happiness is the strongest quality you can develop to help with the inevitable changes and deviations that life will bring. TG: How does our culture’s definition of happiness play a role in our ability/inability to be happy? What cultures set a better/worse example? ER: In Western culture, the definition of happiness tends to relate to financial success, beauty or social status. These achievements can lead to a certain happiness, but that happiness is often shallow and temporary, vulnerable to the variations of life. In my opinion, relying upon these as markers to attain or gauge happiness is not the true meaning. Most of Asian-inspired, spiritual cultures and religions—Buddhism, Hinduism, Jainism—that are grounded in selflessness are better related to my idea of happiness. TG: Do you view happiness as the ultimate human pursuit? Why or why not? ER: I believe that actively pursuing happiness can be confusing and lead to unhappiness. Instead seeking to live an altruistic existence can be the cause of a happier life. TG: What’s your favorite happiness quote? TG: When were/are you the happiest? ER: I’m happiest when I’ve accomplished something that will positively impact my surroundings and the people I interact with. 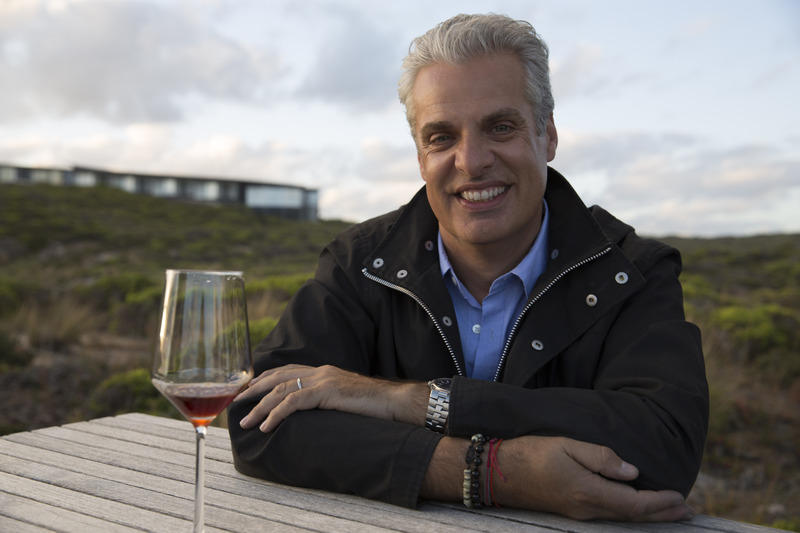 Eric Ripert is the chef and co-owner of the acclaimed New York restaurant Le Bernardin. Born in Antibes, France, Ripert moved to Andorra, a small country just over the Spanish border as a young child. His family instilled their own passion for food in the young Ripert, and at the age of 15 he left home to attend culinary school in Perpignan. At 17, he moved to Paris and cooked at the legendary La Tour D’Argent before taking a position at the Michelin three-starred Jamin. Afterfulfilling his military service, Ripert returned to Jamin under Joel Robuchon to serve as chef poissonier. In 1989, Ripert seized the opportunity to work under Jean-Louis Palladin as sous-chef at Jean Louis at the Watergate Hotel in Washington, D.C. Ripert moved to New York in 1991, working briefly as David Bouley’s sous-chef before Maguy and Gilbert Le Coze recruited him as chef for Le Bernardin. Ripert has since firmly established himself as one of New York’s—and the world’s—great chefs.